Hendrickson ULTIMAAX advanced severe-duty rubber suspension. The Kenworth T880 vocational truck is now available for order with the Hendrickson ULTIMAAX advanced severe-duty rubber suspension. 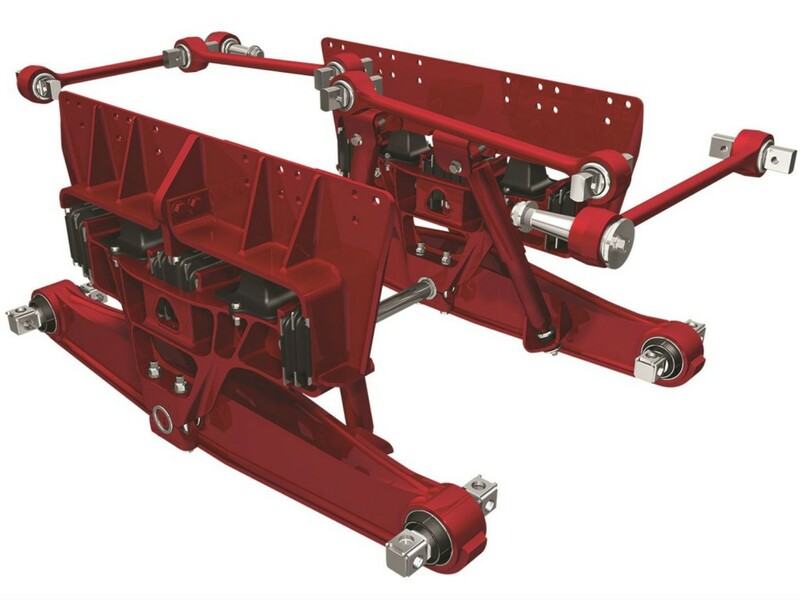 The ULTIMAAX suspension offers a balance of empty ride quality and loaded stability for driver comfort, while also cushioning the load and protecting the chassis, cargo and body equipment from excessive vibration and road shock due to potholes and rugged terrain. For the T880, the suspension is available with axle ratings from 46,000 to 52,000 pounds, axle spacings of 54 and 60 inches with 11-inch ride height for applications such as refuse, sand and gravel, crane/boom, platform, construction, and logging. Available in day cab, 40-, 52- and 76-inch sleeper configurations, the Kenworth T880 comes standard with the PACCAR MX-13 engine rated up to 500 hp and 1,850 lb.-ft. of torque.